I stopped by the Bioseaweed Gel booth and was introduced to the ladies there! They showed me their two gel lines: one three step system and a newer product called Unity which includes base, color, top, and strengthener all in a single bottle. They claim their gels are healthier and don't require you to buff/sand the nail at all before application. 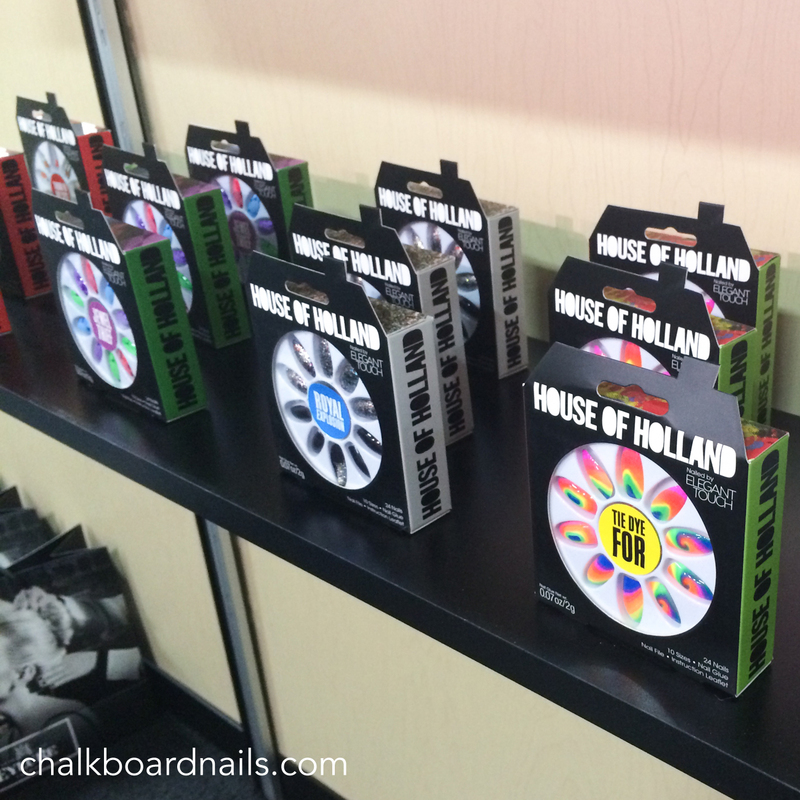 They had some great nail wheels at the booth with tons of gel nail art using their product. They also showed off a new portable LED curing lamp called the Flip. It's cordless, rechargeable, and folds up into a size smaller than a cell phone. It also comes in different colors! Neat! 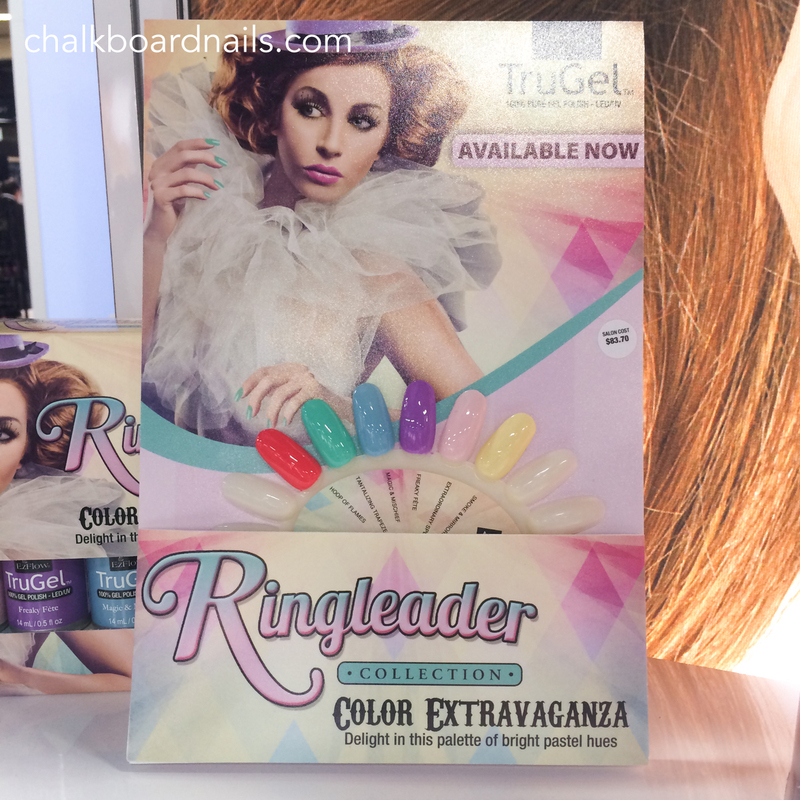 I loved TruGel's Ringleader Collection. The palette is perfection (how nice is that yellow?). I was also impressed with their matte gel topcoat! 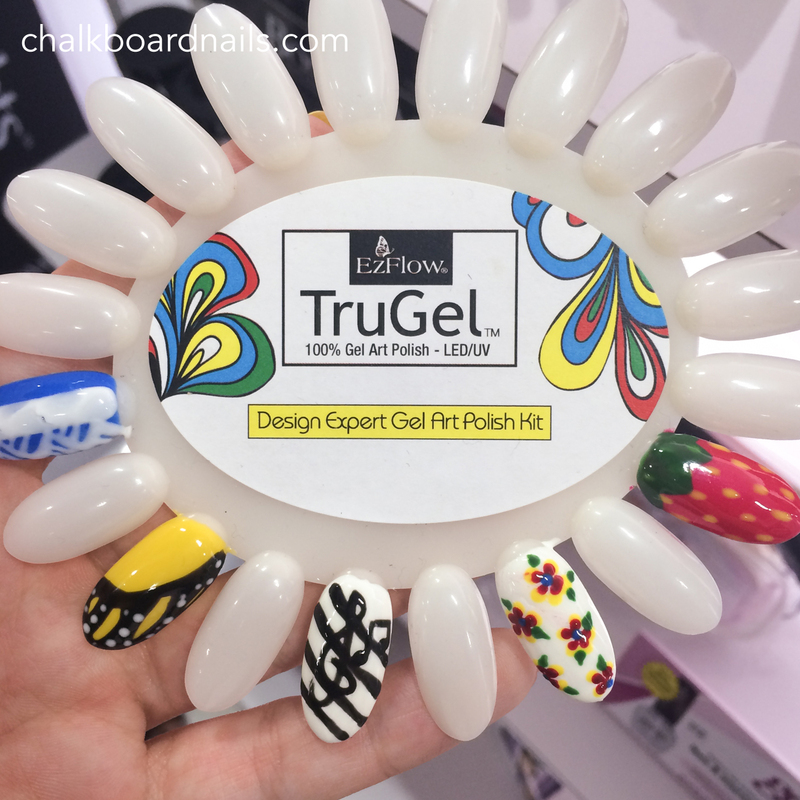 Perhaps my favorite part, though, was their selection of gel nail art kits, which included a set of primary colors, a set of neon colors, and a design kit that has stylish studs and foils. Unfortunately, I wasn't able to meet with anyone at the Gelish booth to get a rundown of their lines. I was able to snap a pic, though! 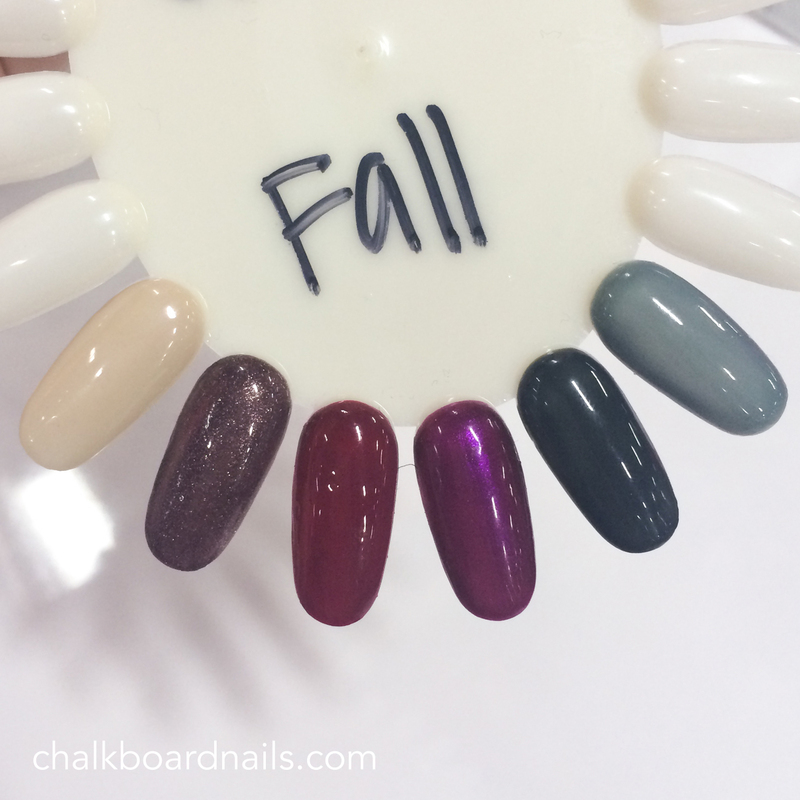 Here's the fall collection, called Get ColorFall. Check out more coverage on WPP. 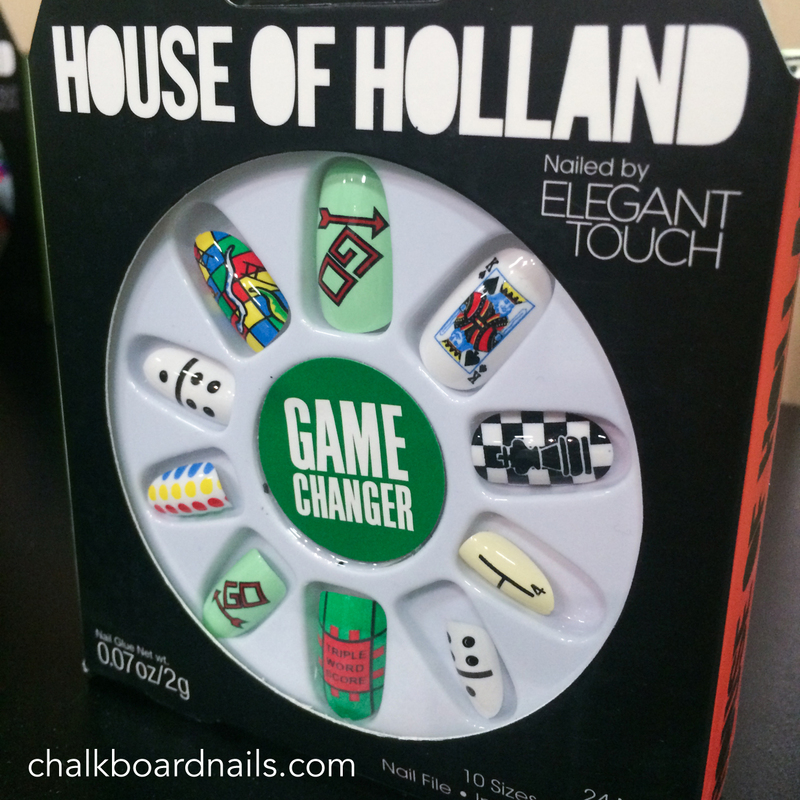 The style house headed up by Henry Holland had a small presence at the show, and I got to take a look at some of their false nail sets. There are some really well designed sets, including my favorite, Game Changer. 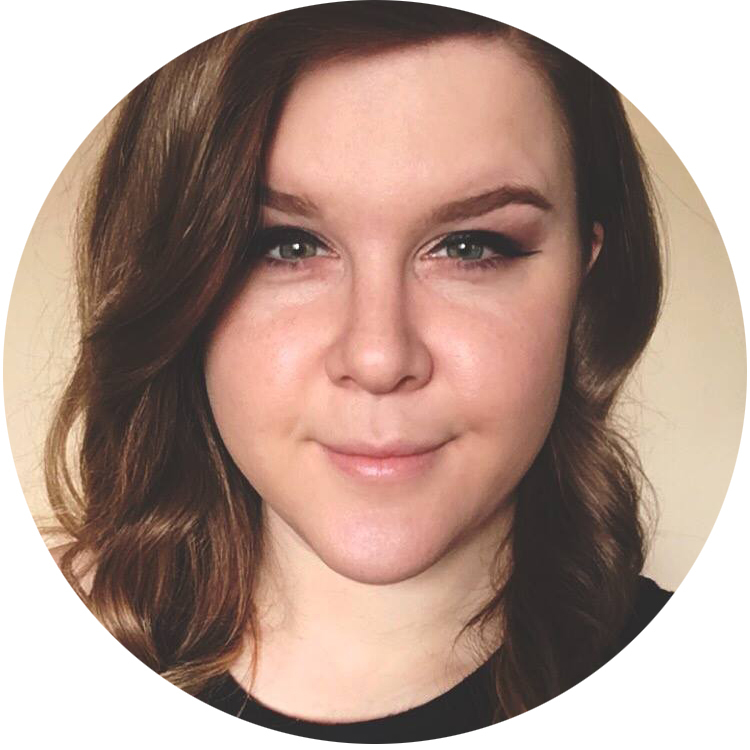 Did you know that Jenny Pasha from 10 Blank Canvases is a creative expert for the brand? 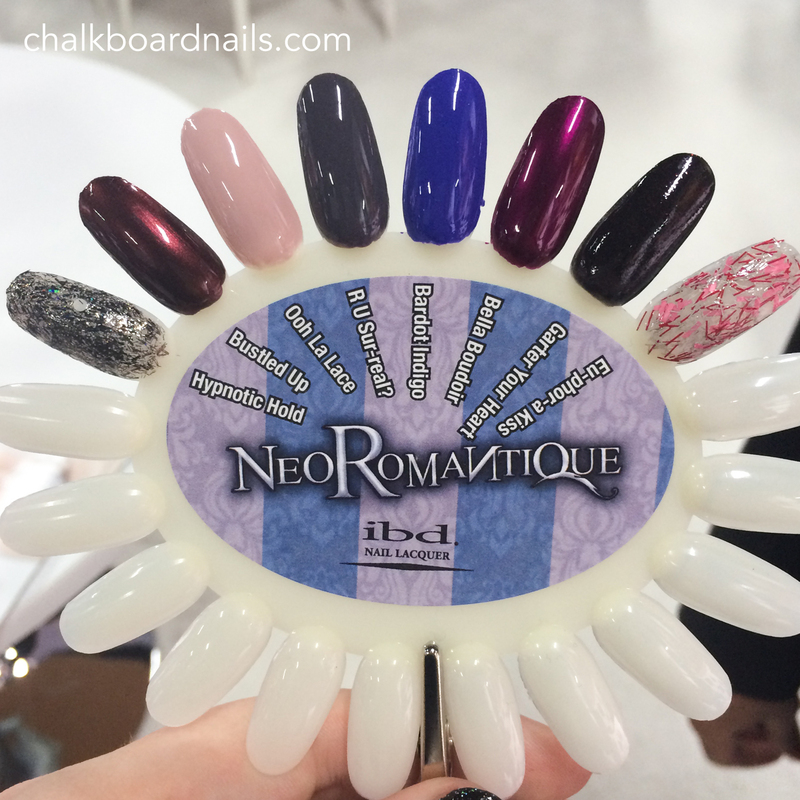 ibd Gel Polish showed off their Floral Metric and Neo Romantique collections (the latter of which has some very unusual glitters). They also had their gel art kits on display. 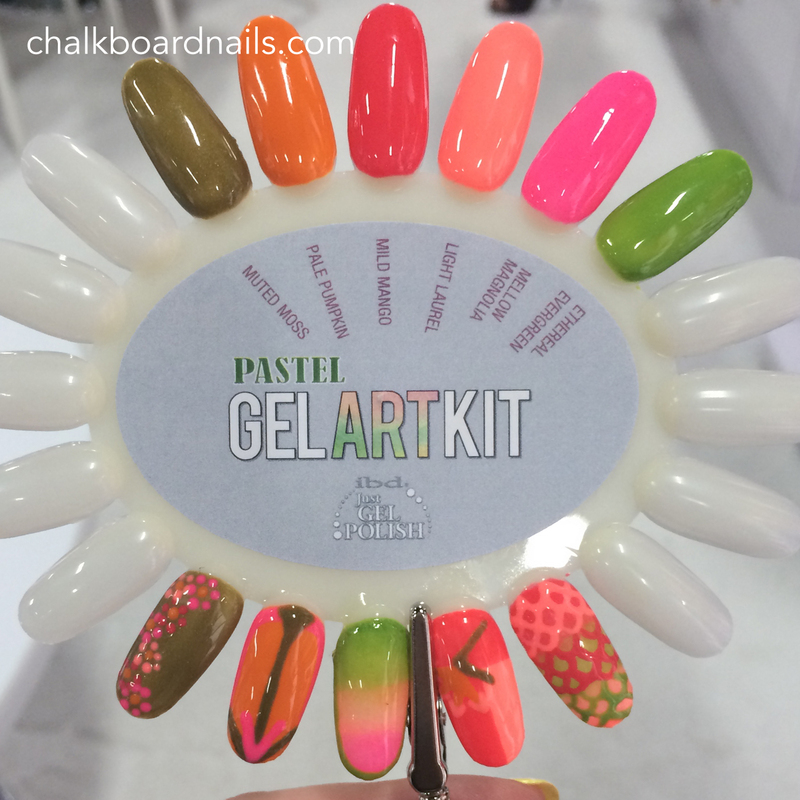 I snapped a photo of their Pastel Gel Art Kit, which contains six garden-y shades. 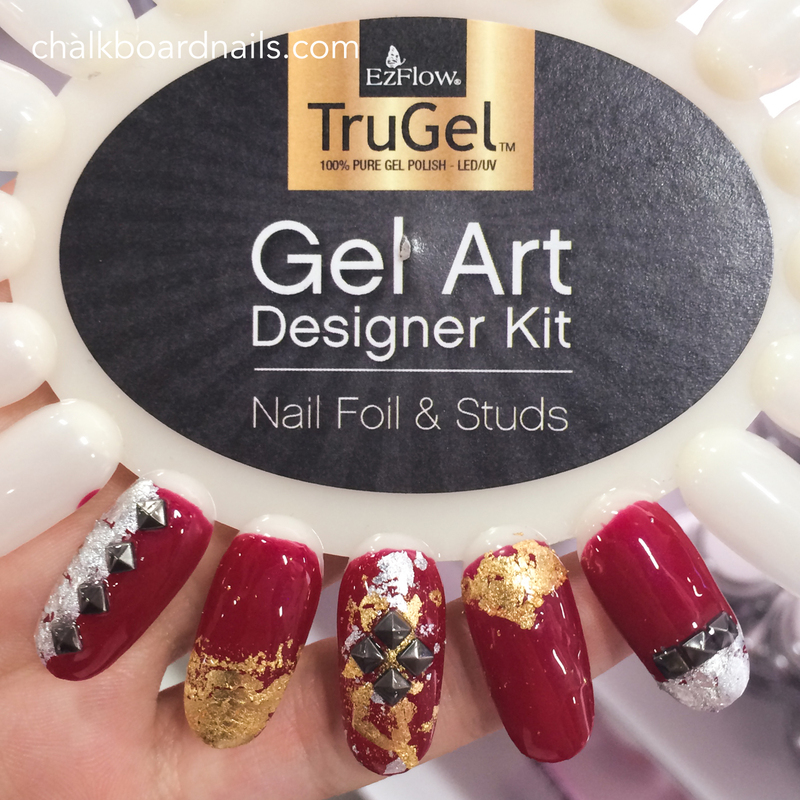 They also offer a gel art kit that includes basic colors like red, blue, and yellow. 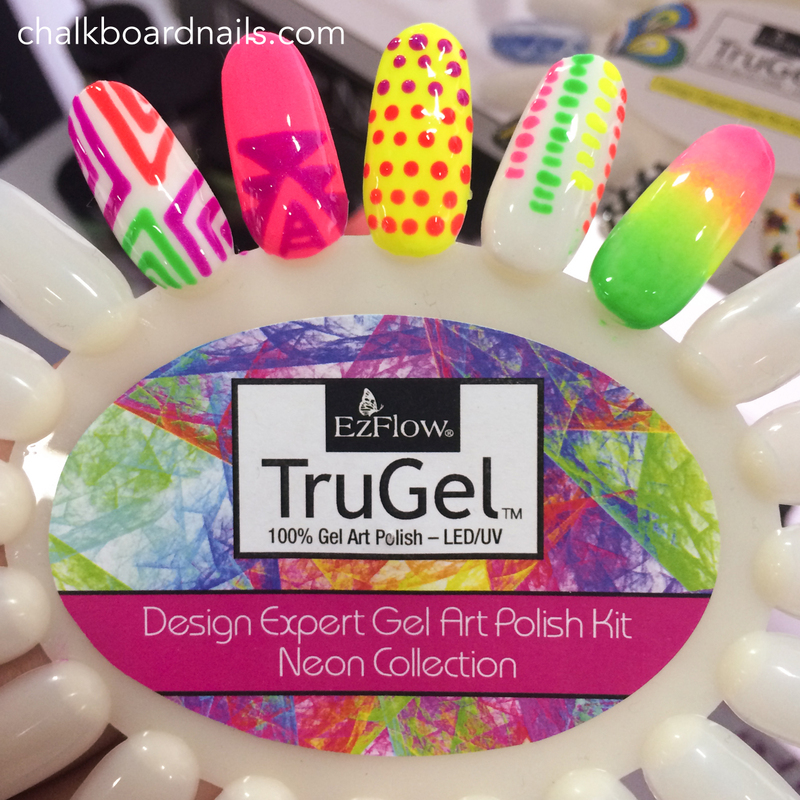 I'm really encouraged to continue learning about gels when I see brands making gel nail art a priority! ibd also had soft touch silicone brushes on display. I was really intrigued by these and hope to try them out soon to give you the scoop. One of them has a chisel point, and I was told it works great for cleaning out sidewalls that have accidentally been flooded with polish. Stamping brand MoYou US was in attendance and was demoing nail stamping for people that stopped by their booth. They were excited to share their high quality stainless steel nail stamping plates as well as 18 colors of stamping polish. We were also told that 6 additional stamping polish colors were on the way, and that MoYou plans to release seasonal stamping polish collections. 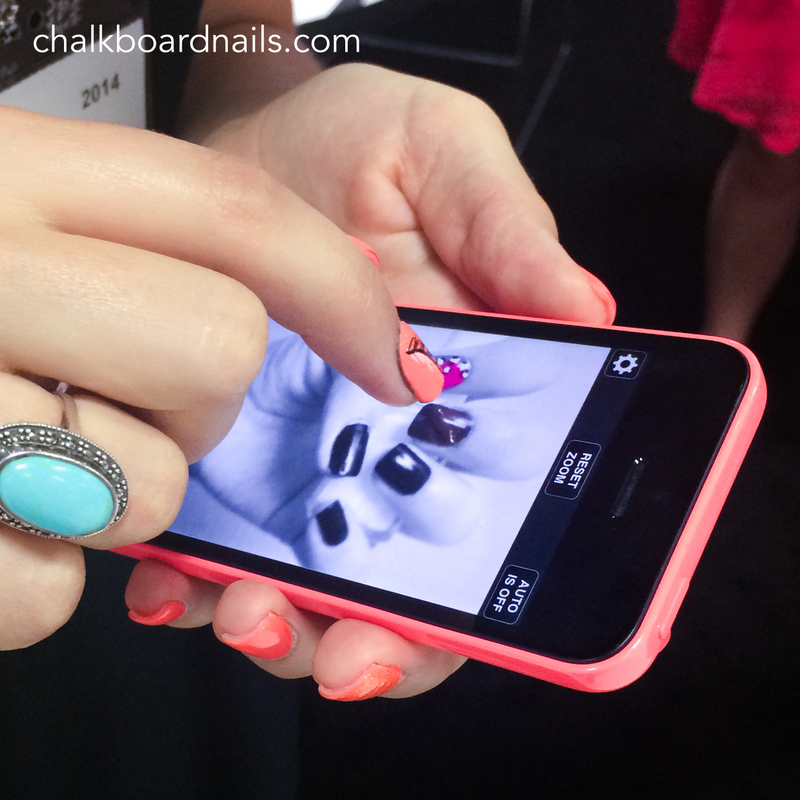 Here's something I was interested to come across: a false nail that you attach on and acts as a smartphone stylus! The Nano Nail is definitely an interesting solution for those of you who may have acrylics that prevent you from effectively Instagramming. It has a thin body and a thick tip, and comes with a square edge. The gals at the booth mentioned that you could round the tips a little bit, but that the nail works best if left as is. 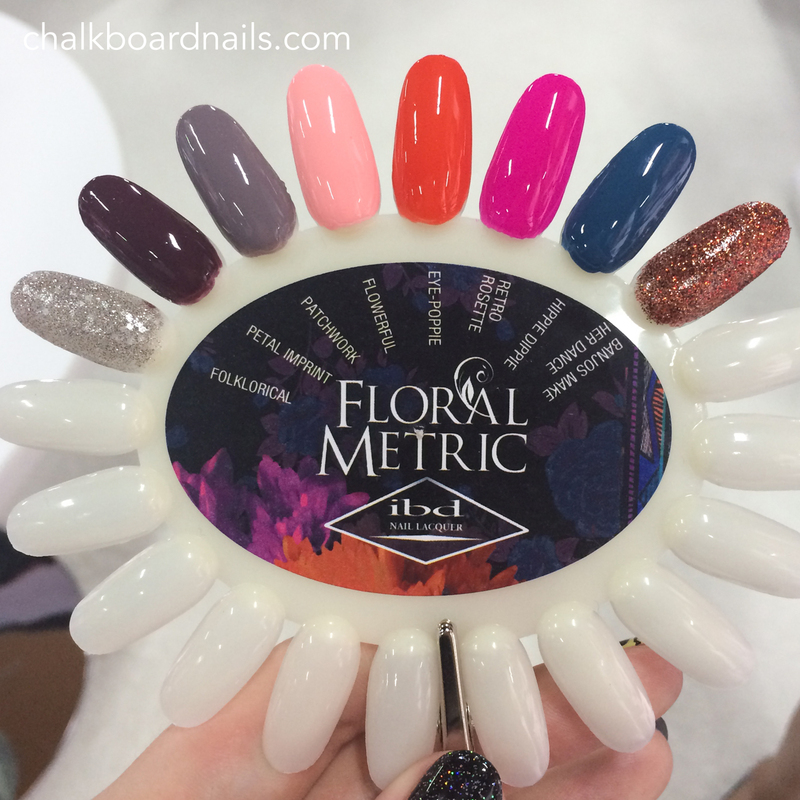 I had the opportunity to meet Katie Cazorla from The Painted Nail, and she was showing off a new product that I'm sure many of you bloggers would be interested in! They're called Swatch Strips, and they go on much like nail wraps. You apply polish over them, and when you're done swatching the polish, the wraps peel right off (with the polish)! Seems like they will be huge -- especially for gel swatching. Aw yeah. I got a brief rundown of the ProGel line. 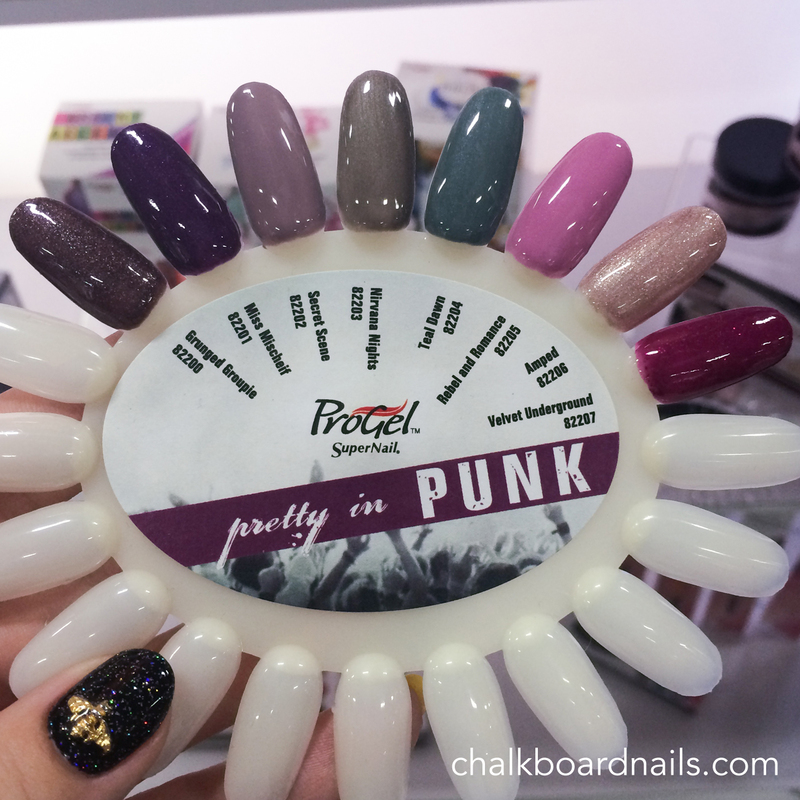 The Boardwalk Babe Collection jumped out at me with it's cute and cheerful colors, but if you like something a bit moodier, check out the Pretty in Punk collection for fall. They also shared a matte gel topcoat called Make It Matte. 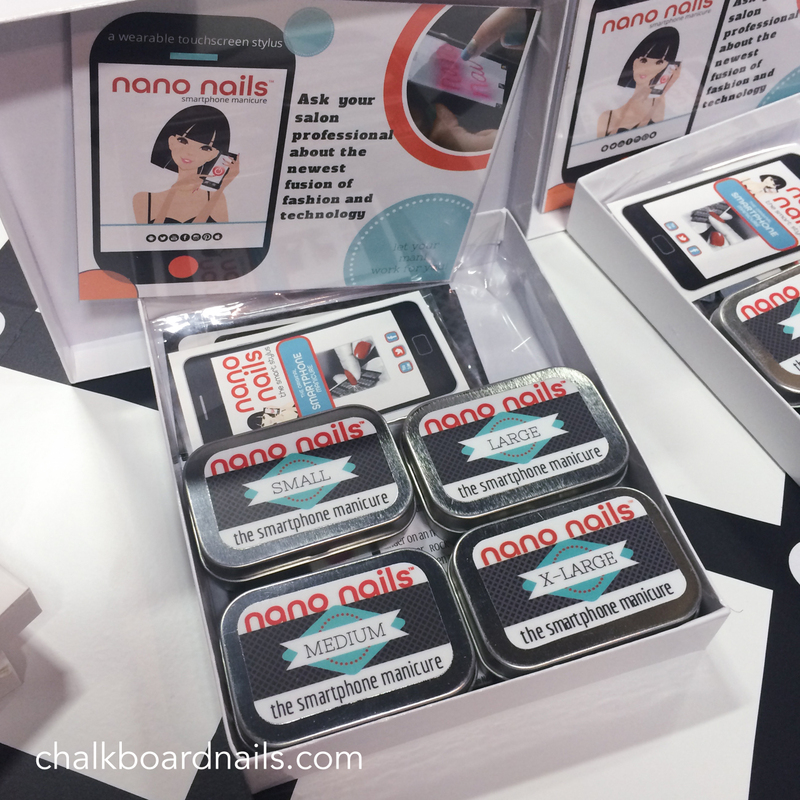 Because Cosmoprof isn't just a show for nails, there are a lot of booths with products that are cool, but not necessarily related to nails. 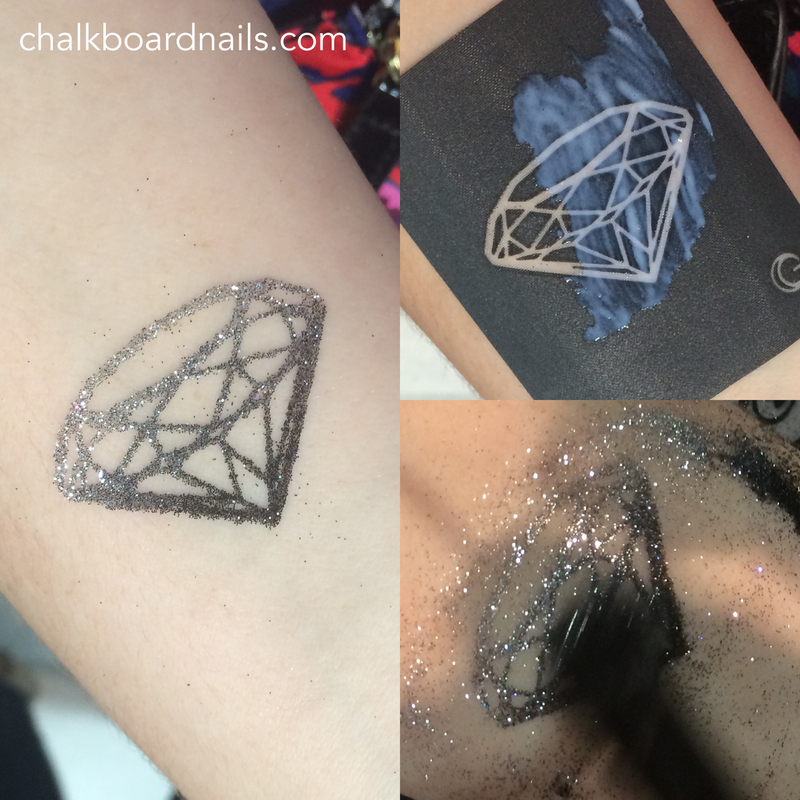 Tattoo Junkee was one of those booths, featuring exciting products like a lip corrector pen, glitter and matte finish temporary tattoos that last for days, and ombre and glitter lip kits. Their product is sold at Wal Mart. The line is a lot of fun and Tattoo Junkee's booth was definitely one of the most popular at the show. Here I am getting a glitter tattoo, which lasted a good two and a half days before it started showing any signs of wear. 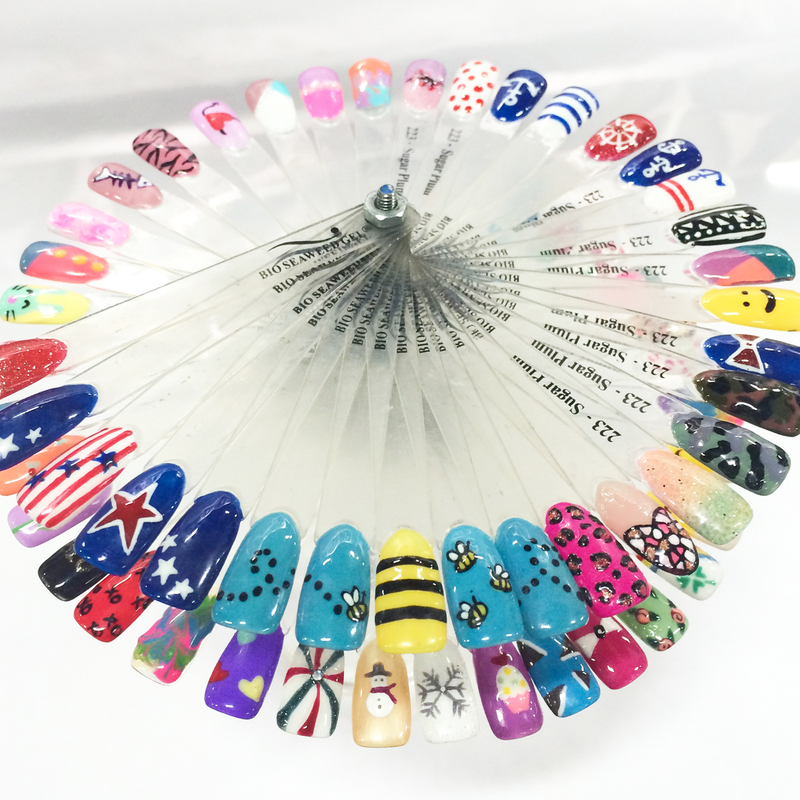 Ever looked at a photograph or an image on a computer and wished you could print it directly on to your nails? Well Tat'z aims to make that dream a reality! 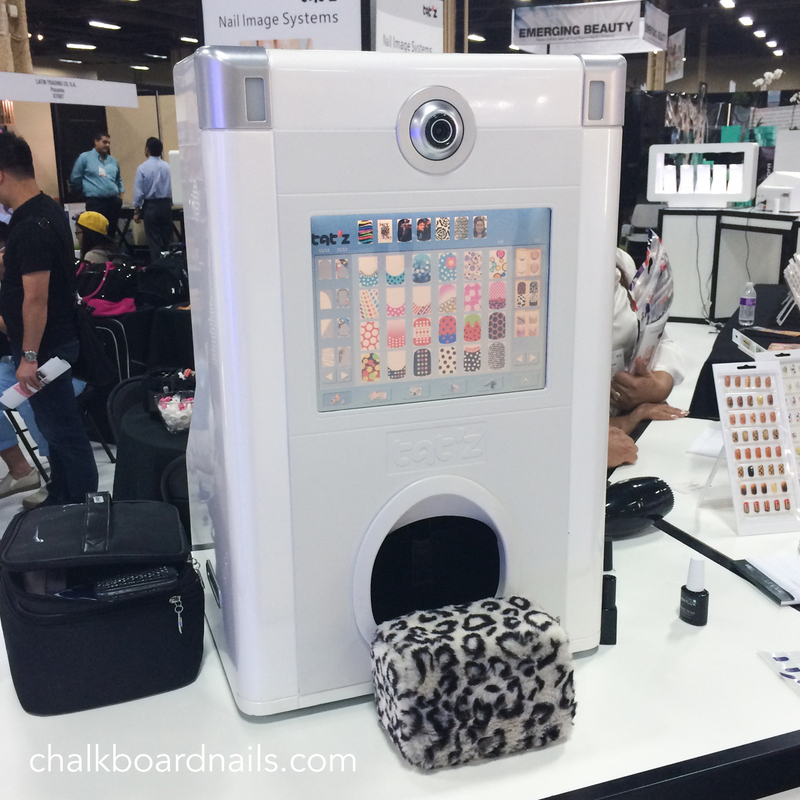 This machine is an inkjet printer that will print on any regular manicure (like polish, acrylic, or gel). You can upload a photo, snap a pic, or choose one of their preloaded designs. I stopped by the booth with Andrea from Chickettes and she sat down to get a demo. 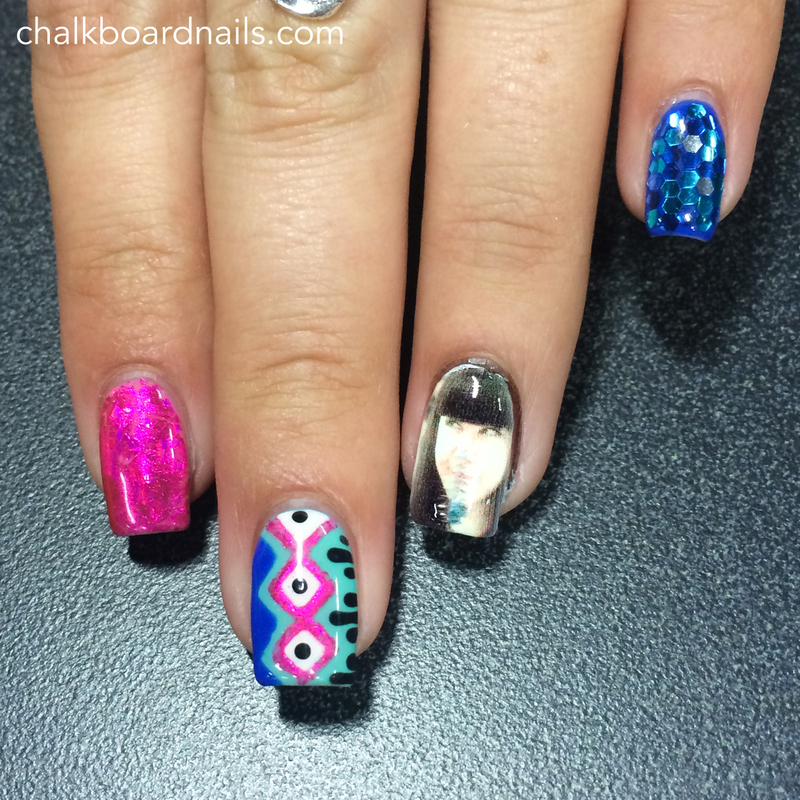 We actually ended up snapping a photo of my face so she could have it printed on her nails, hah! It got a little scuffed in the printing process, but you can still see that it's me in the photo below. What is piquing your interest here? I was really amazed by all of the developments in beauty that I saw at the show. 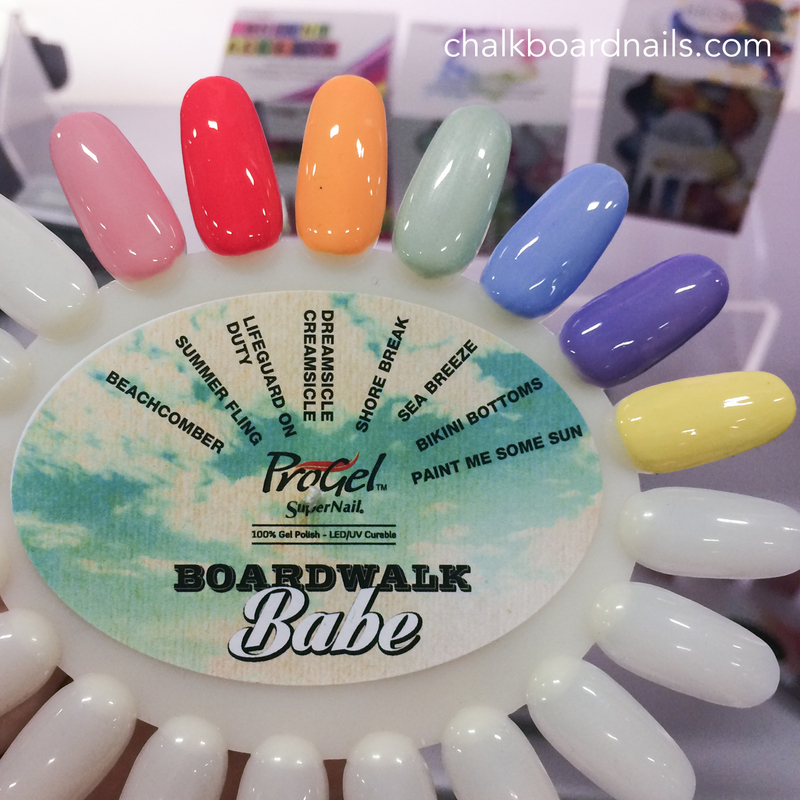 If you are interested in additional gel coverage, be sure to also stop by Andrea's post on Chickettes.com and Leslie's post on Work/Play/Polish. So fun to see all these! The Swatch Strips are really cool, too! Kind of like an easier, less messy peel-off base coat. It'd also be good for people like me who rarely if ever keep on the same mani for more than two days. My nails go through a lot of damage because I'm so bad at keeping entertained/happy with the same thing on my nails for very long. Yeah I think you may be right unfortunately. The printer was really cool and I'd love to play with one at home! Holy balls those swatch strips look EPIC!! Thank you for sharing. 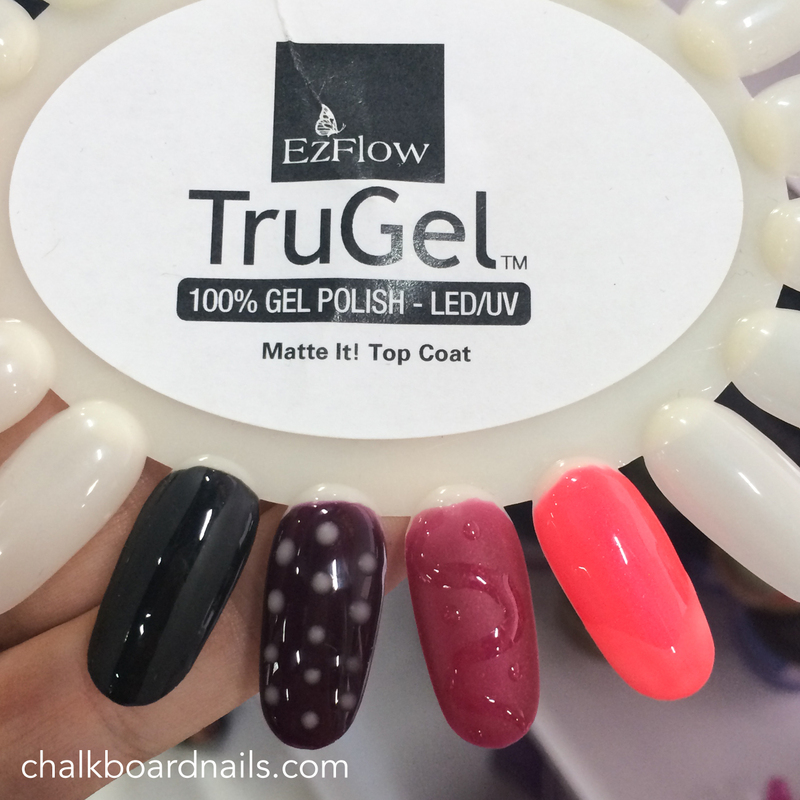 I love gel polish and look forward to seeing some of those available. I also loved the MoYou stamping plates. Neat! Did you have a chance to try it? It's pretty cool! No, I did ask for a demonstration but they told me it was for sale (out of my price range ha ha, maybe santa & bday together along with the tooth fairy or something like that). 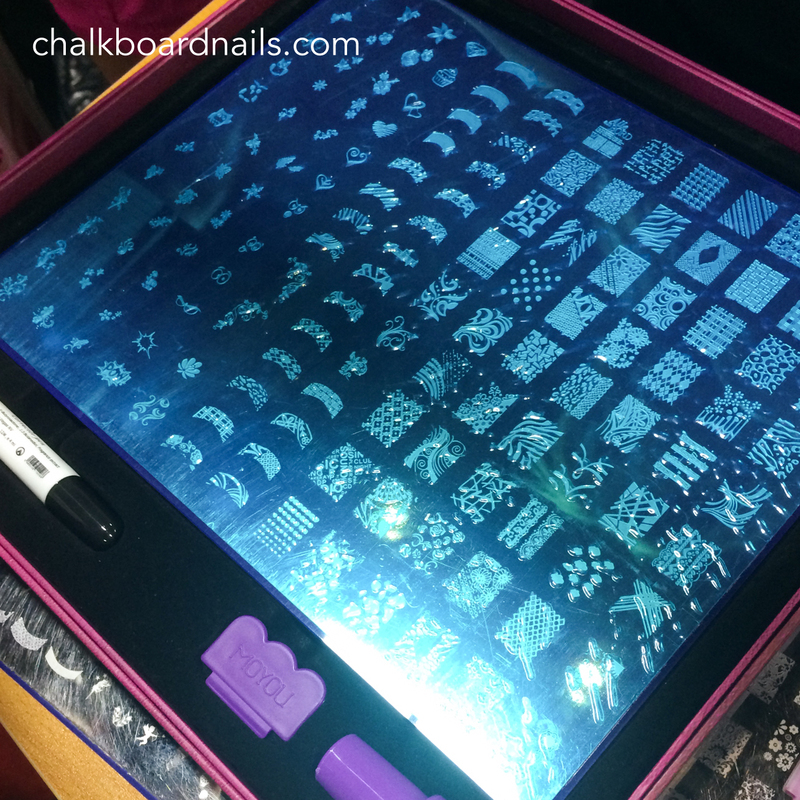 Have you seen the "nail polish machine"? I'll look for the pic of it, but it's about the size of a small cooler and it mixes pigments and other stuff to make your own nail polish. That is something I would buy! No I haven't heard of that. Sounds cool though, I'd be interested to learn more about that! Wow, Sarah, it's kind of overwhelming to see all this new stuff! How are these people even so creative and productive to come up with so many innovations!! Thanks for keeping your followers in the know.